At Custer Kitchens we make dreams reality from simple custom kitchen cabinet upgrades to updating an entirely new space. Our custom kitchen designers work from concept to completion to deliver our clients an inviting new kitchen. Our custom kitchens are built using the finest custom cabinetry crafted by Brookhaven ® and Wood-Mode ® along with the best in class components for appliances, flooring, lighting, counter tops, tile, backsplashes, windows, etc. Our design team works with your existing space or can expand the space to create that one-of-a-kind, heart of the home, custom kitchen. 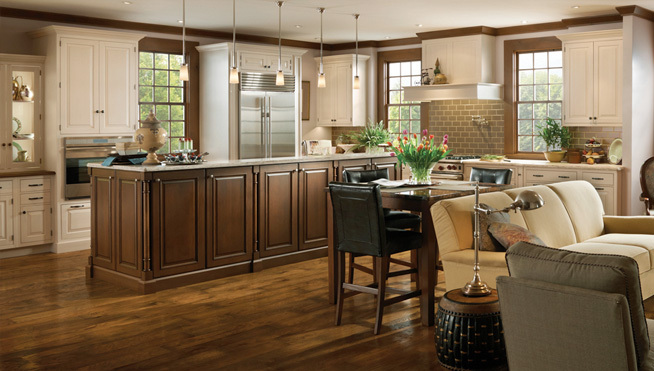 At Custer Kitchens we work with homeowners, architects or your building contractor. If you’re looking for a kitchen design and kitchen contractor for a new kitchen, kitchen renovation, or custom kitchen cabinetry project call or make an appointment for your private tour of our kitchen & bath showroom in Abington, Pa.
At Custer Kitchens we transform your existing bath into an entirely new space with custom cabinets, custom vanities and best in class components for; plumbing, counter tops, tile, flooring, fixtures, lightning, and more. 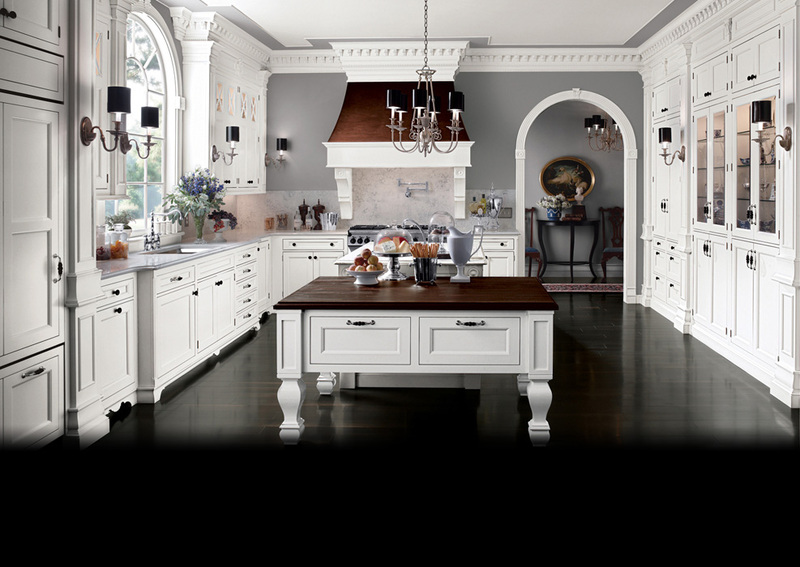 At Custer Kitchens our custom kitchen and bath designers make your dreams into reality. Visit our custom kitchen and bathroom showroom in Abington, Pa. and see the endless possibilities in design styles from traditional to contemporary. Our design team will create the custom bath you have always wanted. Custom crafted bath cabinetry is built by Brookhaven® and Wood-Mode® and designed for your specific space and functionality. Our design team works with you, your builder or your architect from inception to completion to design and install the highest quality custom bath space. Call Custer Kitchens to set up your private tour of our custom kitchen and bath showroom and see firsthand the endless possibilities of your bathroom renovation project. At Custer Kitchens we go far beyond your kitchen and bath projects. Pick any room in your home or office and we can transform the space designing and installing custom cabinetry from Brookhaven® and Wood-Mode® to match your style, functionality and needs. We provide one-of-a-kind custom kitchen, bath, closet, entertainment center, and office spaces suited to your exact needs. 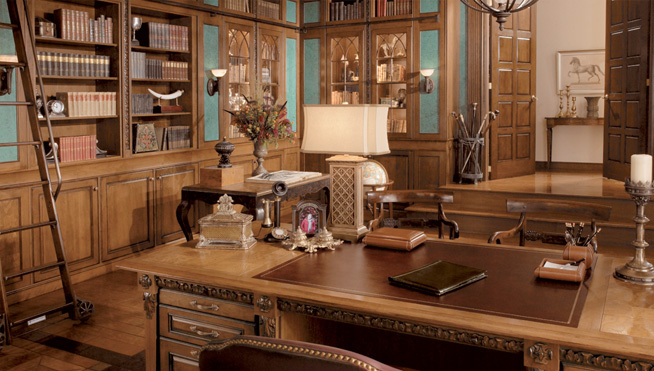 For a private tour of our custom cabinetry showroom in Abington, Pa. call us or schedule an appointment. Custom Kitchen Completed In Dresher, Pa.